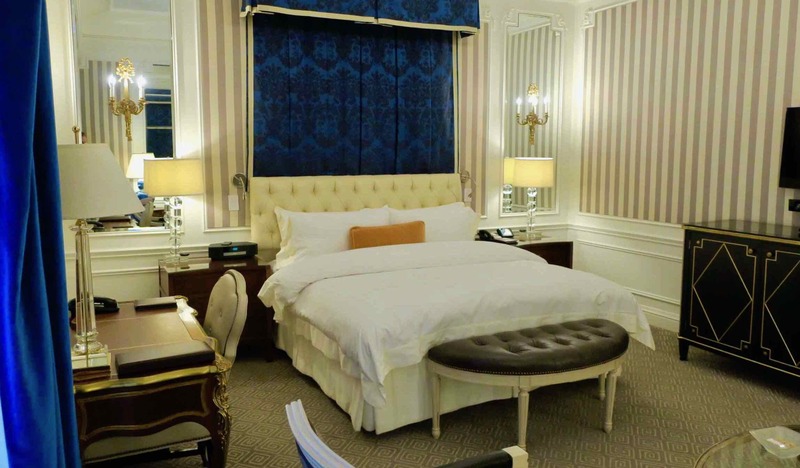 If you’re considering a stay here and can afford it, the answer is yes—do it! This review is part of a three-week round-the-world holiday with my partner that we paid for using reward points. The Maldives had been high on our bucket list for many years, so when we were planning a ski trip to Canada, I started to think creatively about the return trip to Sydney. Considering reward seats are limited across The Pacific and we were ending our time in Canada in Toronto, we decided to continue flying east to get home. 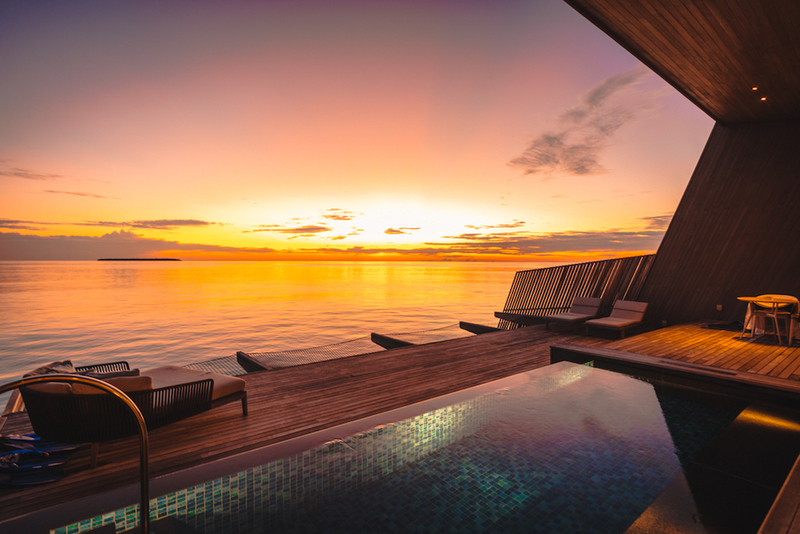 During the planning of this trip in May 2017, SPG announced its ‘Paradise is Closer’ campaign, offering 35% off redemption bookings at many of their most aspirational properties including The St. Regis Maldives, so we jumped at the opportunity. 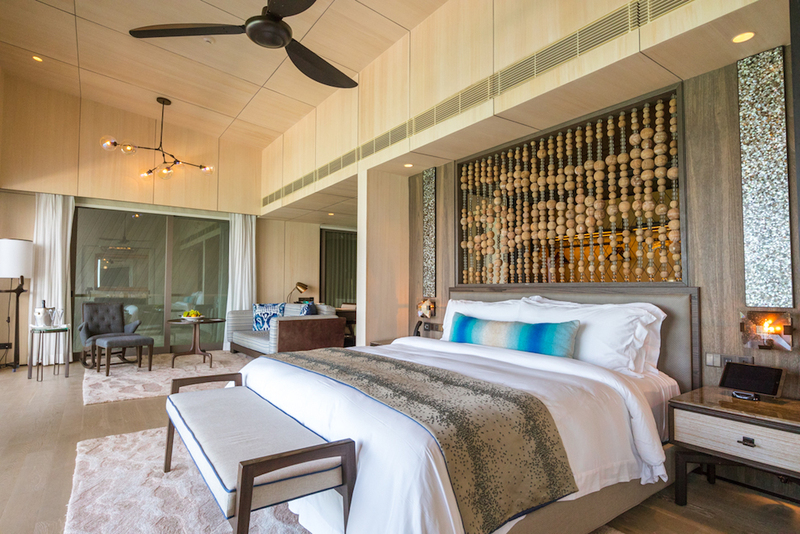 At the time of writing this review, this property was classified as an SPG Category 7 property, costing 70,000 Starpoints per night. 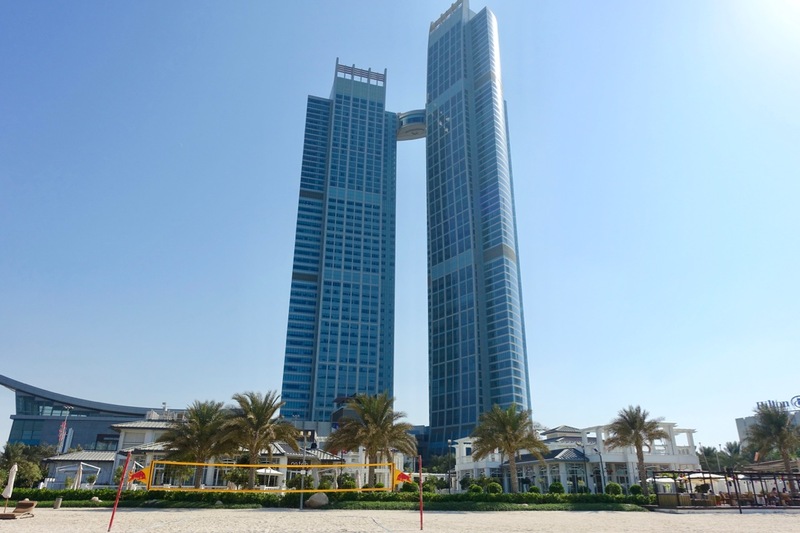 Due to the merger of SPG into Marriott Rewards, this is now a Category 8 property with Marriott Bonvoy, costing 70,000/85,000/100,000 Marriott Rewards points per night (off-peak/standard/peak). 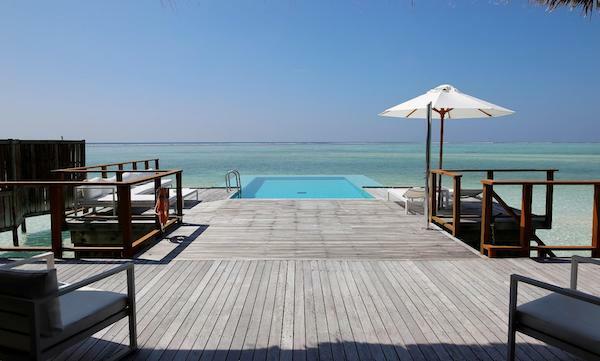 We booked four nights in an Overwater Villa with pool for 234,000 Starpoints, which included the fifth night free. It was 90,000 per night before the promotion. 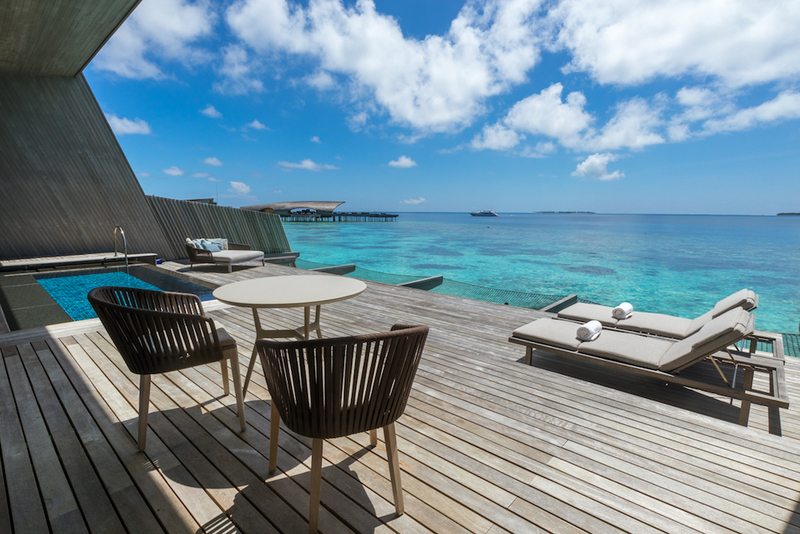 At the time of booking, the Overwater Villa was valued at a whopping AU$20,500 for five nights! 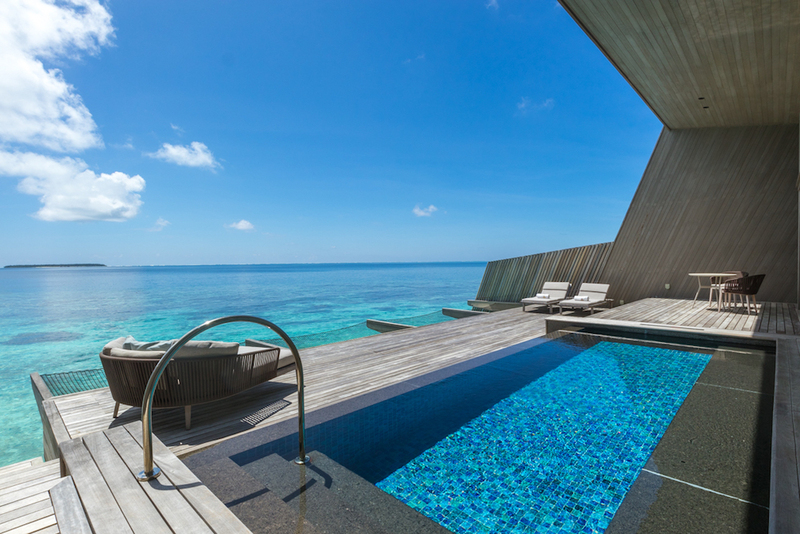 It is worth noting that the W Maldives was also included in the same promotion, however, for the same number of points you would ‘only’ get a Wonderful Beach Oasis and not an Overwater Villa, which would have been 312,000 points (now 560,000 points). On arrival at Malé Airport at 10:15am, a team member was waiting for us and escorted us to the Trans Maldivian seaplane counter to check us in for our flight. 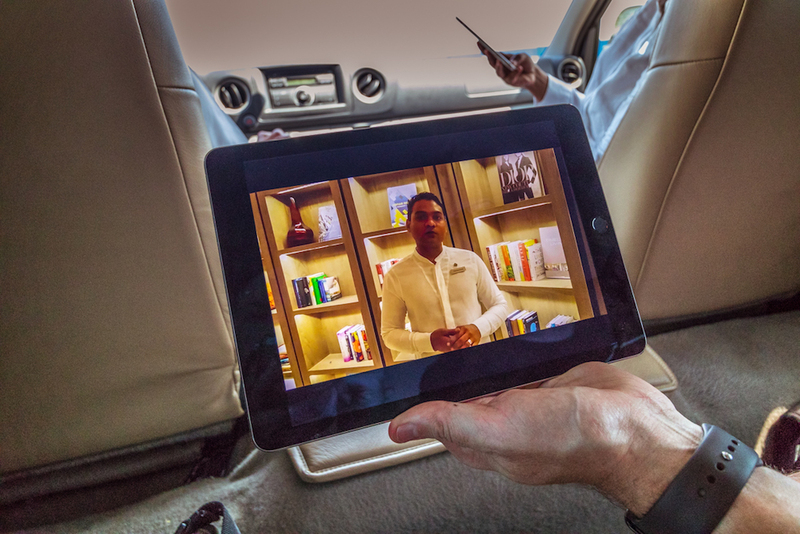 During the transfer to the seaplane lounge in a Toyota (the Bentley is only available to guests staying in a suite), we were handed an iPad and played a welcome video reordered by our butler Shauzoon. 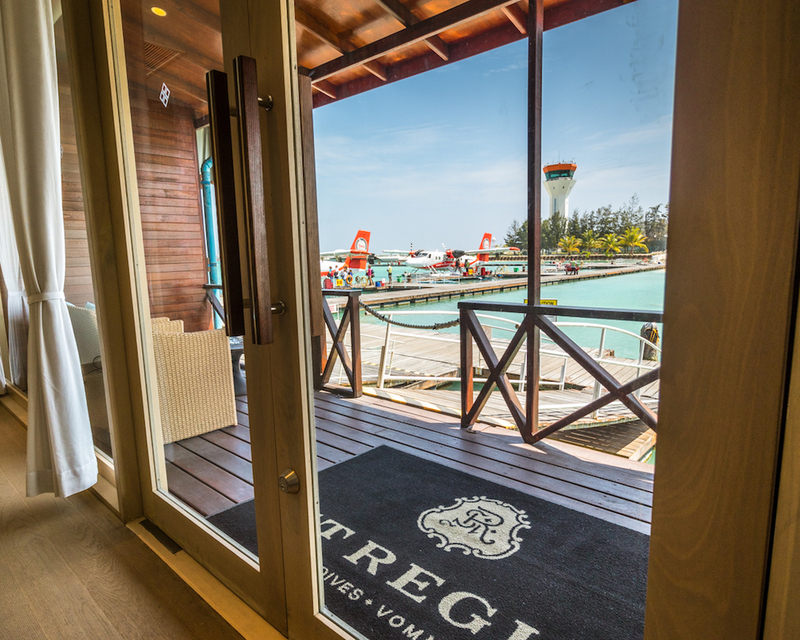 The seaplane lounge is beautifully decorated with views out to the arriving and departing aircraft and complimentary morning tea was served while we waited for our seaplane. 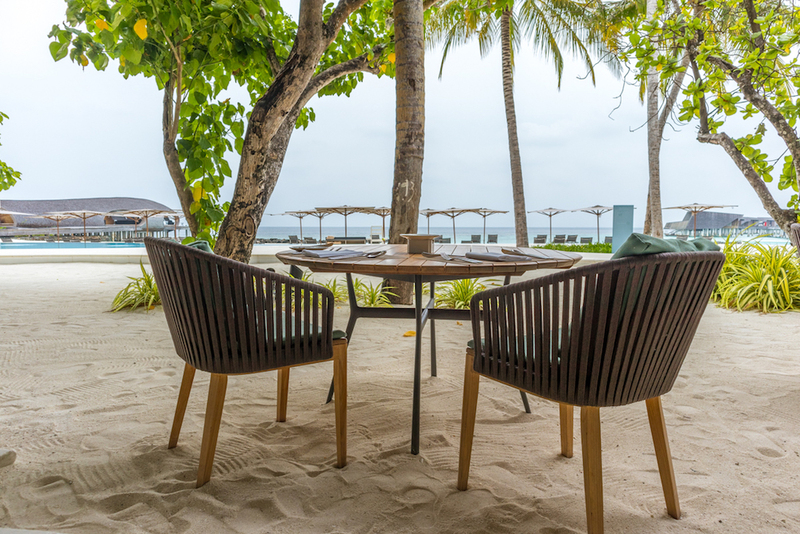 Vommuli is located approximately 45 minutes via seaplane from Malé Airport, which isn’t included in the room rate and costs US$665 per person. 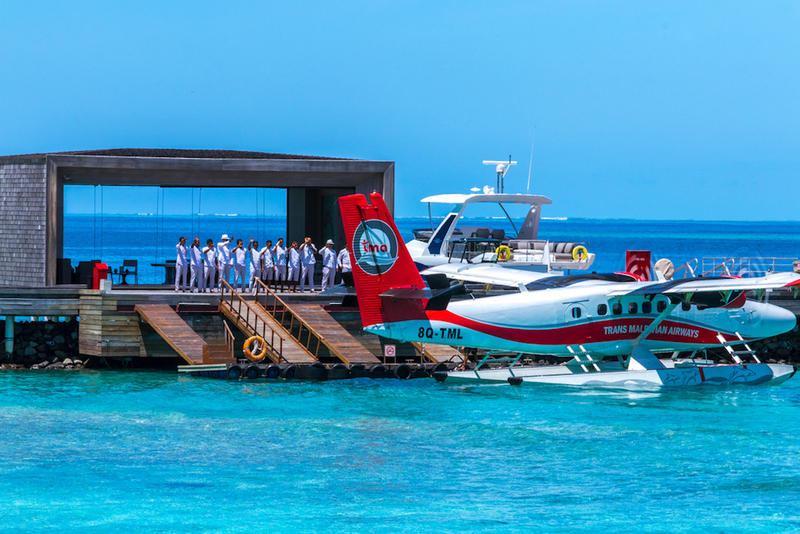 On arrival, all the butlers were lined up waving to the seaplane. Exiting the plane, which had another eight passengers onboard, our butler walked past all the other guests and surprisingly greeted us both by name, knowing exactly which one of us was Greg and the other Lukas. We were sat down for the check-in process and handed coconut welcome drinks. I opted for the breakfast for my SPG Platinum welcome amenity, which ended up saving us over $700 over the five nights for the two of us. 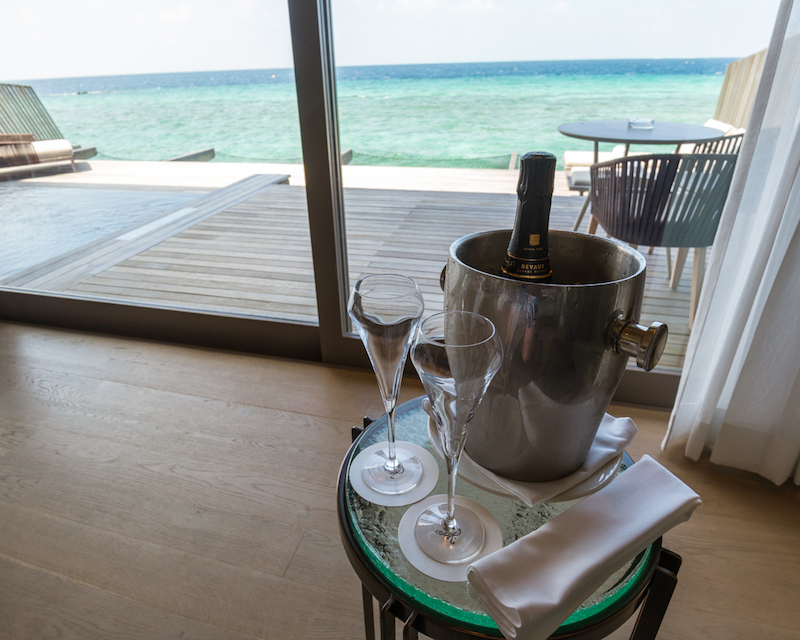 After the check-in process, we were given a full tour of the island facilities on a buggy and then driven to our north-facing Overwater Villa. 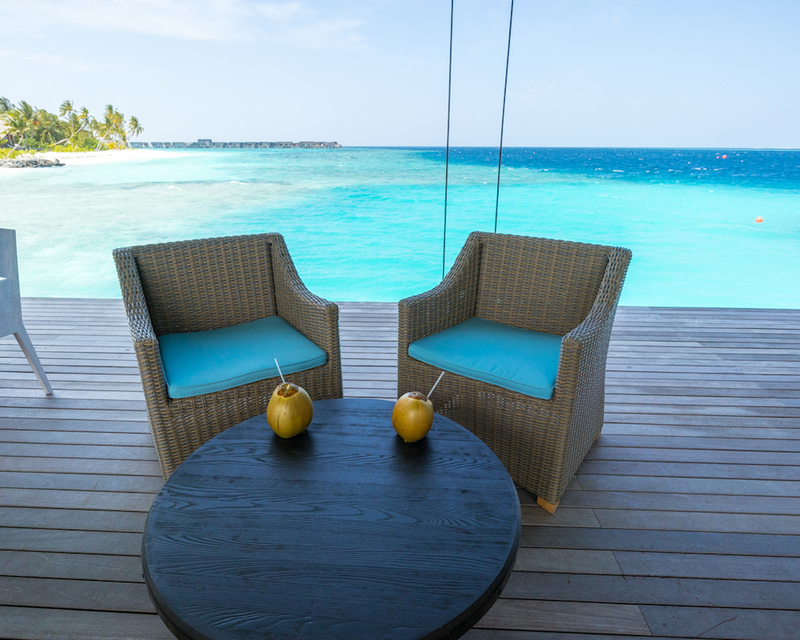 The Overwater Villas either face the island and have a sunrise view; face away from the island and have a sunset view; or face north and miss out on both sunrise or sunset views, however, they are far more private. 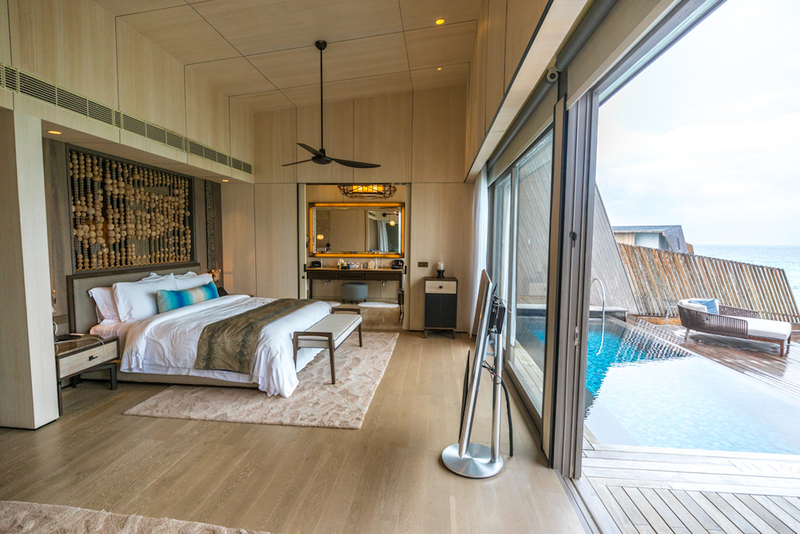 Stepping into the 182m² villa, I couldn’t help myself and let out a giggle—I seriously couldn’t believe I was in The Maldives and was staying in this villa for five nights! I had to pinch myself—it was truly spectacular! 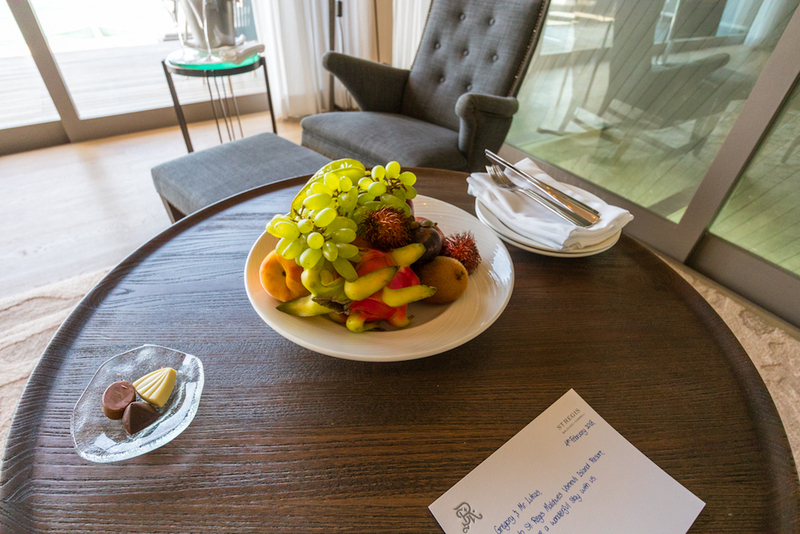 A complimentary bottle of champagne, fruit, baklava, cookies and chocolates accompanied a handwritten welcome note. Every second day, the fruit, baklava and cookies were replenished. 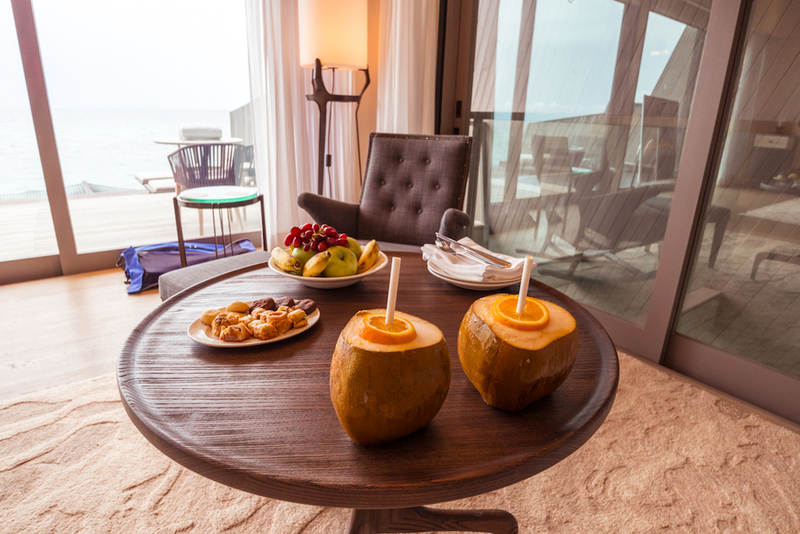 On afternoons when we had chosen activities such as jetskiing or the gym, we had cold coconut drinks waiting in the villa for us. 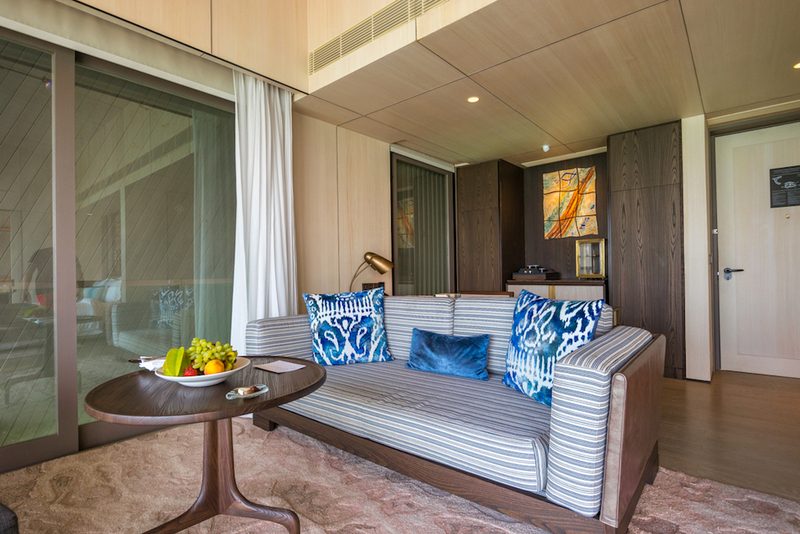 The room features a king-sized bed, Bang & Olufsen 55-inch LCD television, lounge armchair and desk. 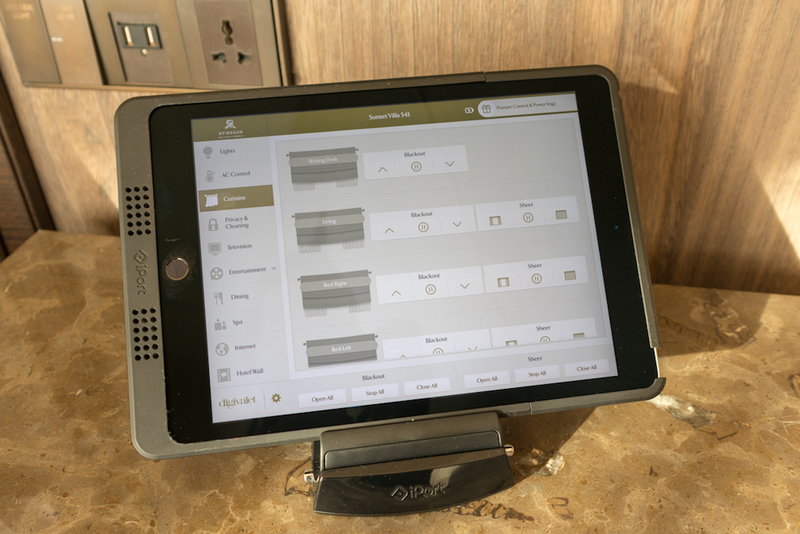 There is an iPad which controls al the lighting, curtains, air conditioning and entertainment, as well as easy room service ordering. 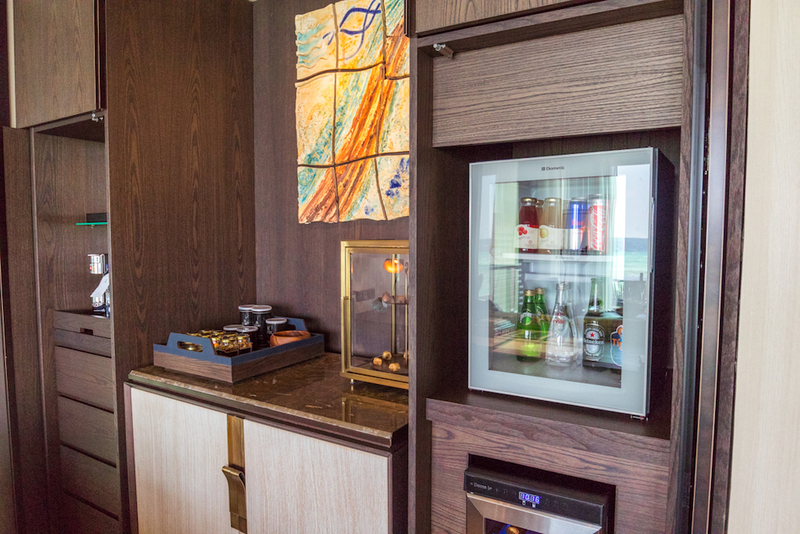 The TV supports streaming from both iOS and Android devices, and universal power sockets were located throughout the villa. 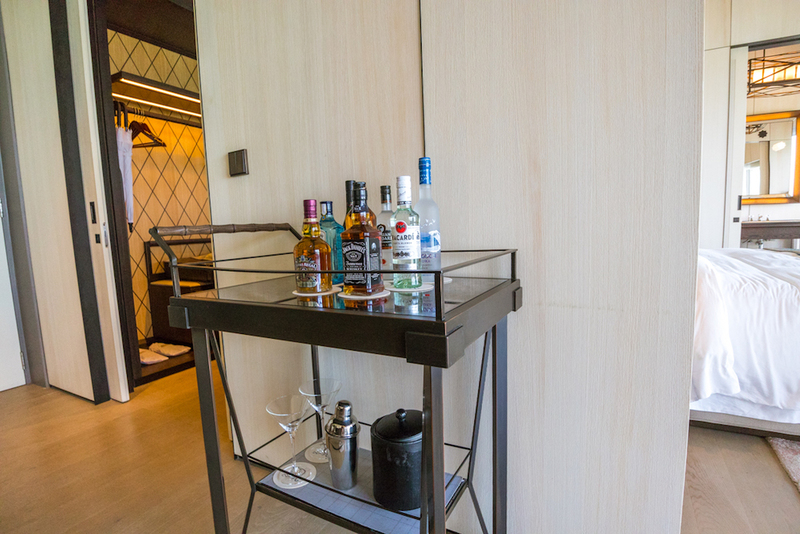 There is a fully-stocked mini-bar, wine fridge, trolley of assorted spirits, capsule coffee machine and kettle. 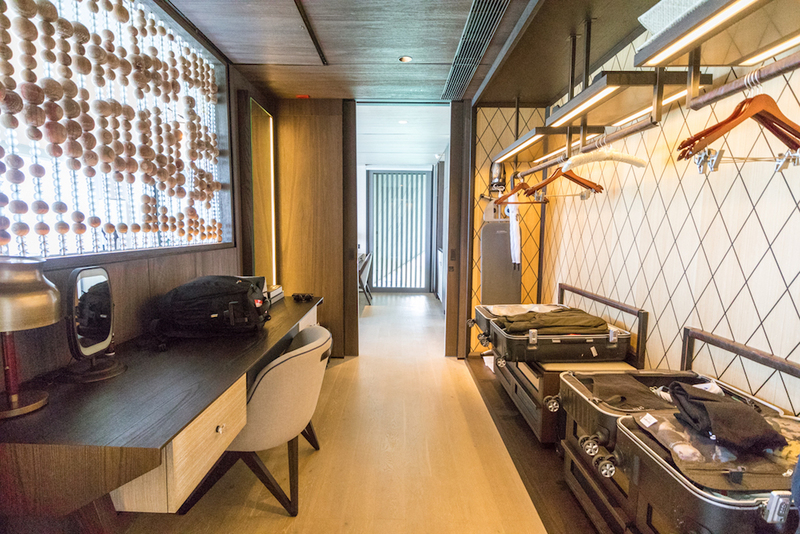 Behind the bed is a walk-in wardrobe with another desk. 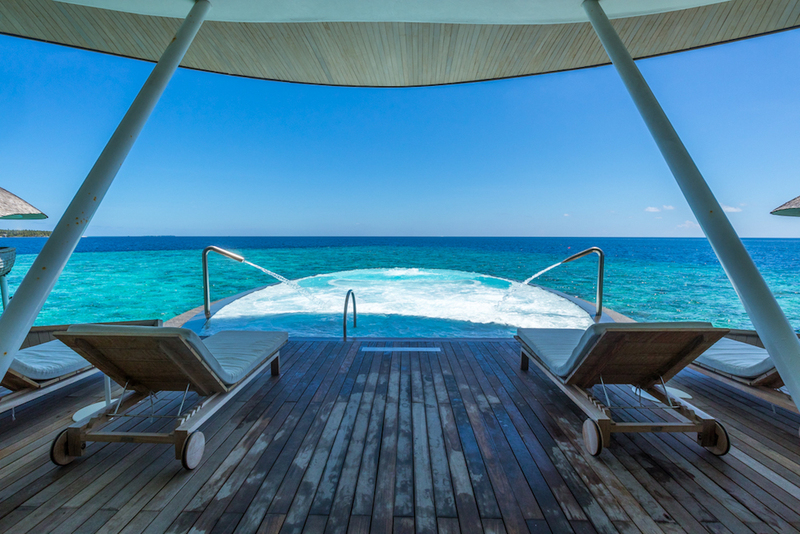 Outside, there are a private plunge pool, table and chairs, deck chairs, lounge, overwater hammocks and steps down to the ocean. The pools are not heated, and our north-facing villa pool was kept in the shade all day due to the villa roofline, so our pool temperature was cooler than the ocean. 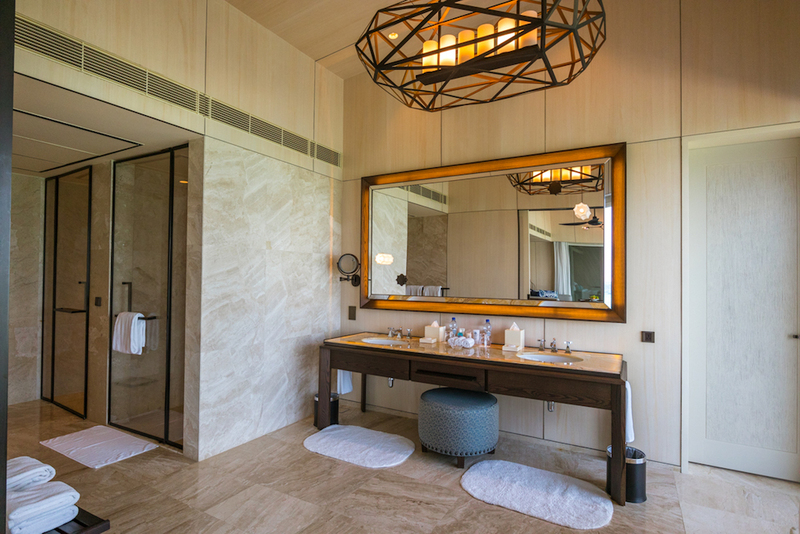 The bathroom features a double vanity, large bathtub, walk-in shower and separate toilet. Remède toiletries are supplied, as well as loofahs, bath salts, shoe shine kits, mouthwash, cotton tips and more. 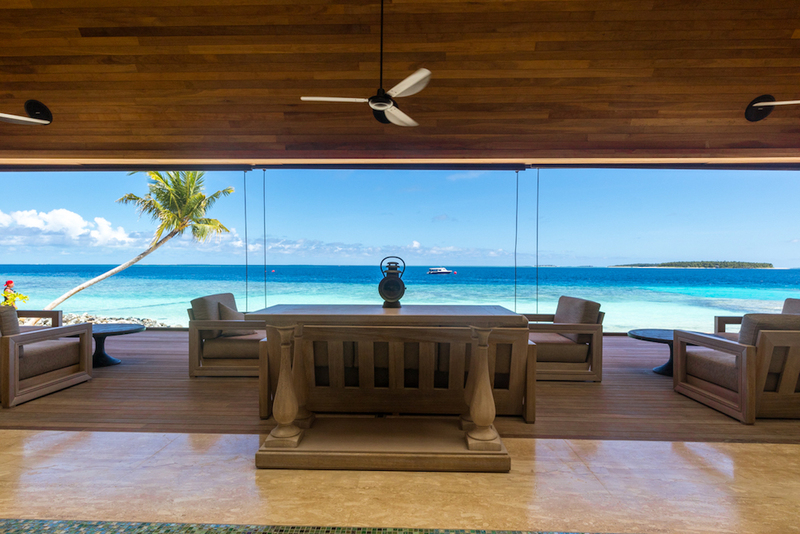 The resort doesn’t have a traditional lobby as such but a reception building that is adjacent to the seaplane jetty and the staff there have the best views of the beach from their ‘office’. 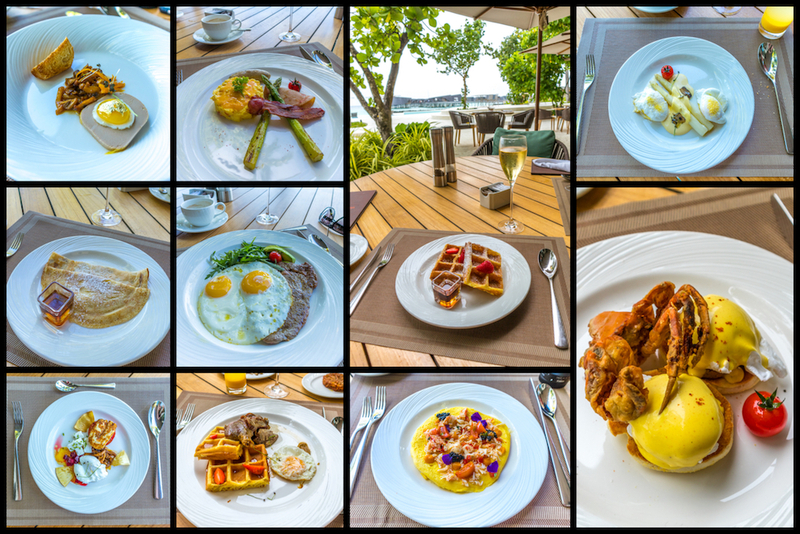 The breakfast buffet at ALBA was one of the most elaborate breakfast selections I have seen. 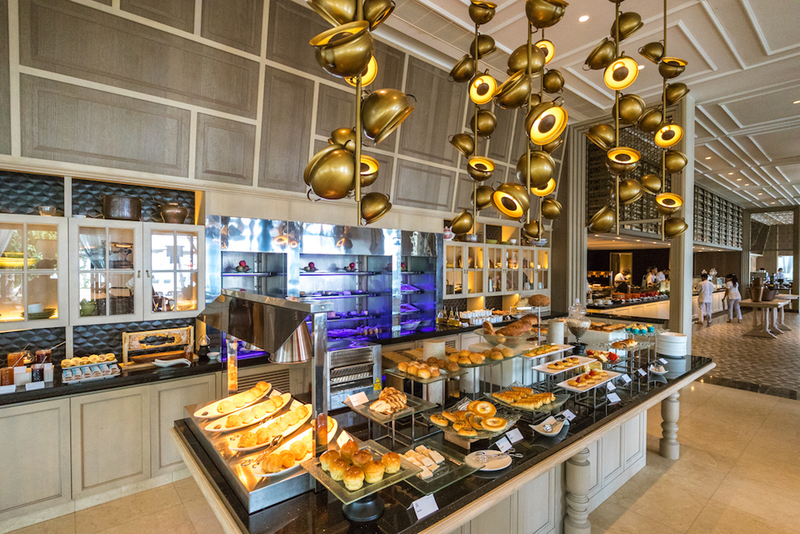 Not only do you have access to the full buffet but you can also order anything off the extensive à la carte menu. The menu included delicious dishes with ingredients, including yellowfin tuna, soft shell crab tempura, lobster and Alaskan crab, Oscietra caviar, duck foie gras, quail eggs, gold leaf, black truffle and duck leg confit—yum! 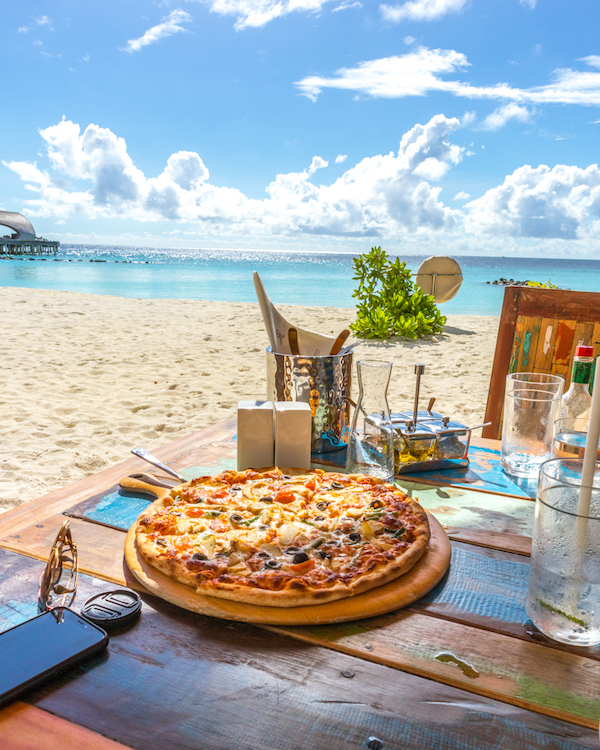 There is a wood-fired pizza restaurant called Crust on the beach, where we ate lunch most days. 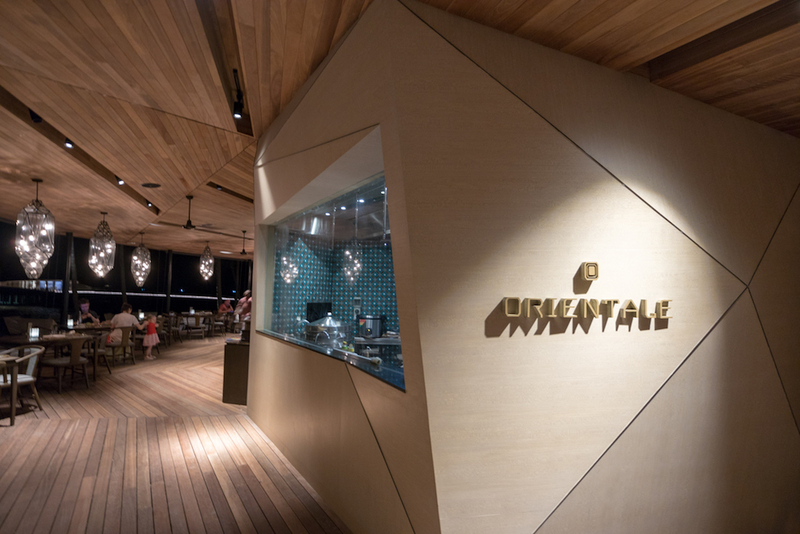 On the island, you have four restaurants to choose from for dinner: Orientale restaurant fuses together a mixture of Indian, Japanese and Cantonese. ALBA, which is where breakfast is served each morning, is also open for dinner, or for those preferring some Middle Eastern fare, there is Cargo. The hotel is famous for its degustation dinner with matching wines in its Decanter cellar restaurant, or if you’d prefer a more exclusive experience, the staff are always on-hand to help you create your own private dining experience, such as candle-lit dinner on the beach. The resort felt quite empty during our stay and we found out from the staff they were only at 50% occupancy. 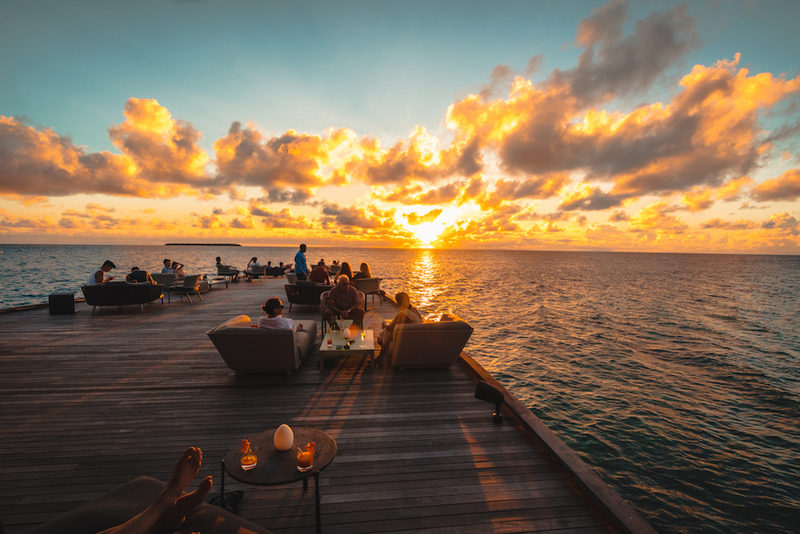 One evening, the manager invited all guests for complimentary drinks at Whale Bar at sunset and that definitely did the trick to get everyone out of their villas. 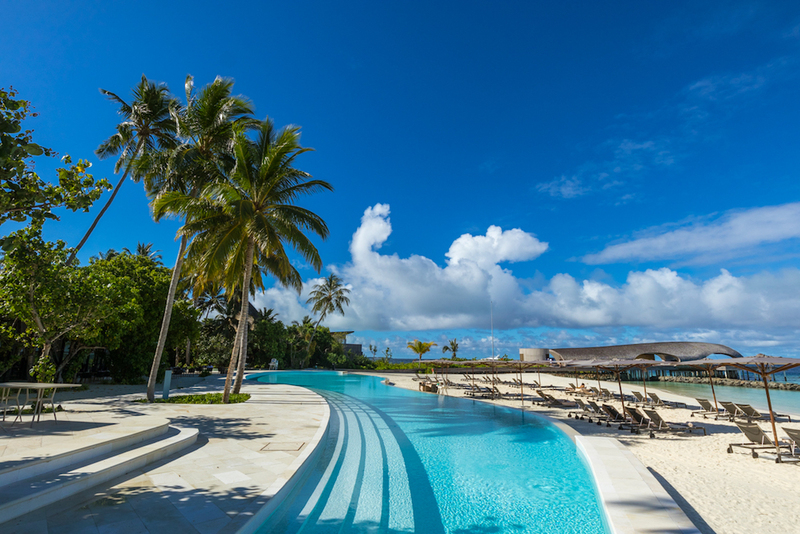 A large public pool sits between the main dining venue and the beach. 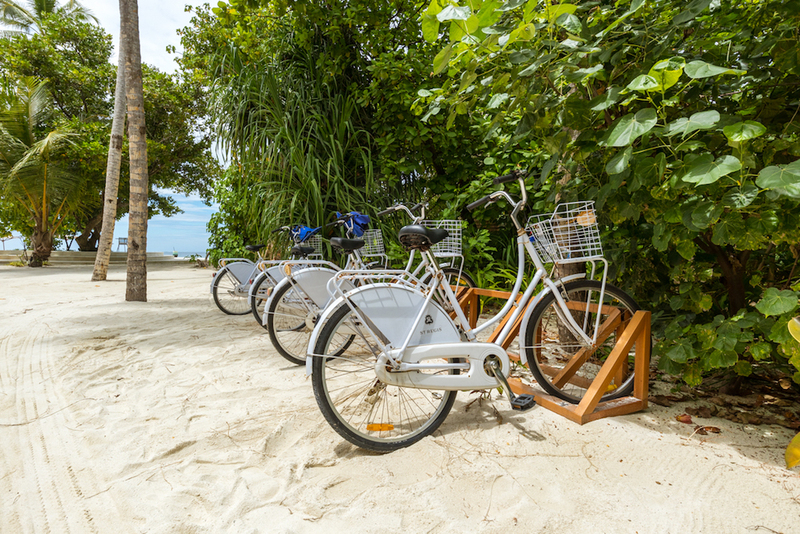 Complimentary bikes are provided, however, the island is quite small and only takes a couple of minutes to ride around it. 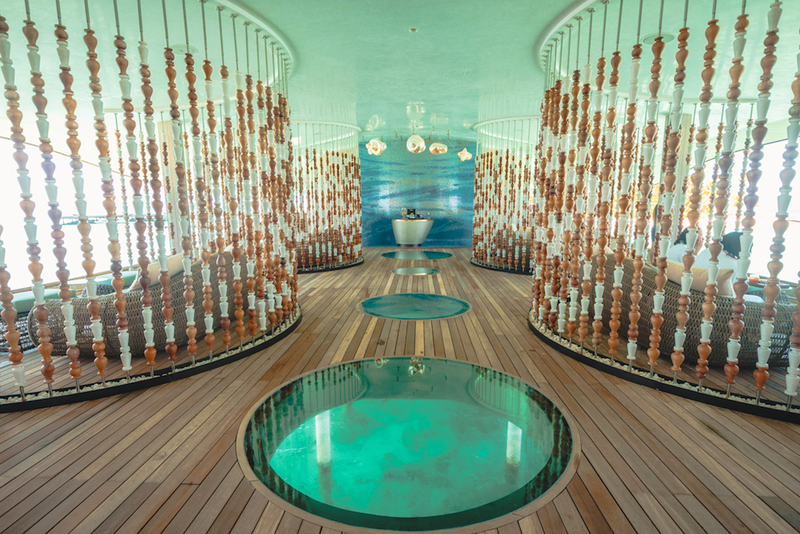 The Irididum spa features an extensive list of spa treatments. We used the Blue Hole Pool, which is claimed to be the largest hydrotherapy pool in The Maldives. 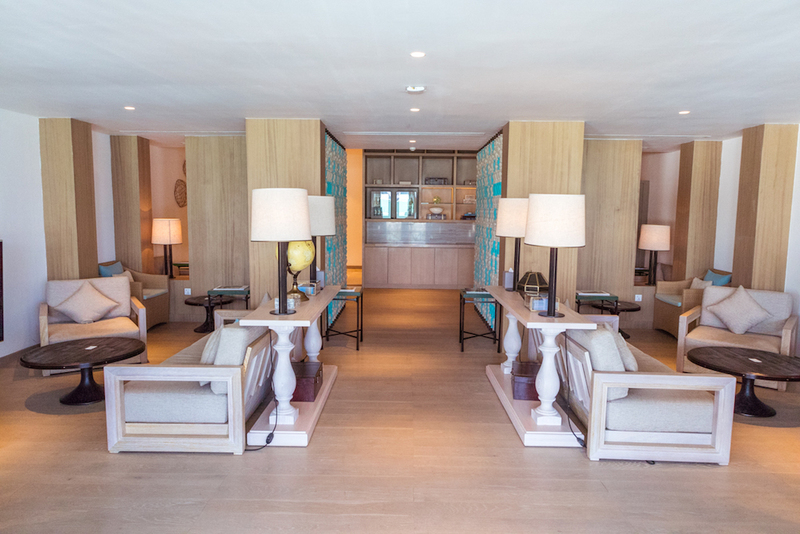 SPG Platinum members also receive 10% off spa treatments. 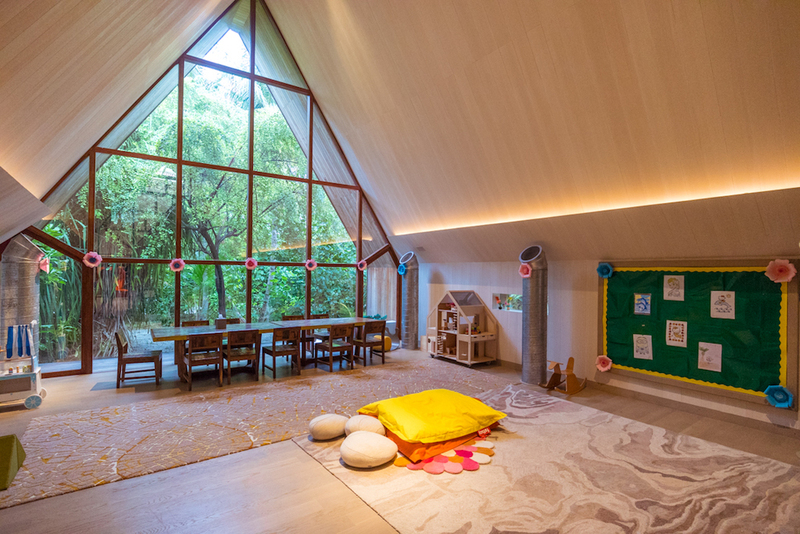 In the Vommuli House central building, there are a gym, hair and beauty salon, yoga studio, kids club and library. 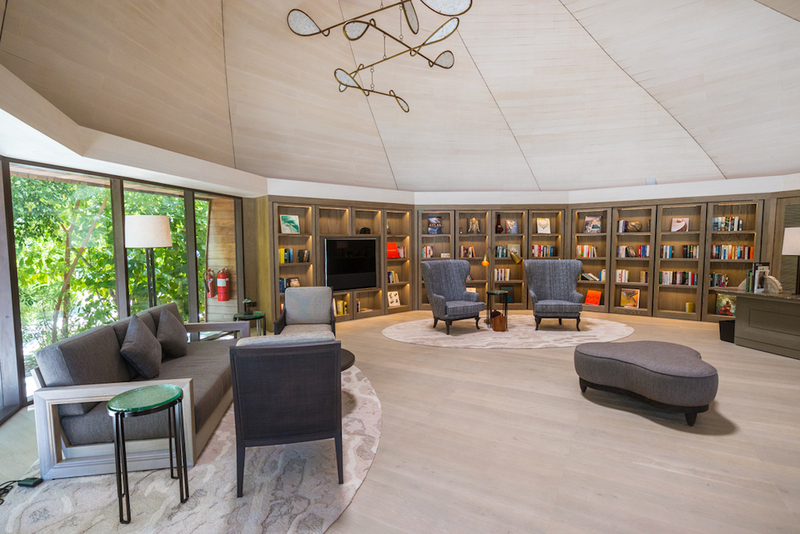 There are complimentary yoga, meditation and fitness classes, which change each day throughout the week. We attended the complimentary Tabata, boot camp and trampoline jumping class, which was a lot of fun, and tried the anti-gravity yoga, which is a paid activity. If you love the water, you are spoilt for activities at the Vommuli Watersports Centre, with windsurfing, sea bob, parasailing, private island hours, speed boats, fishing trips, dolphin exploration, night snorkelling, scuba diving and more. Or you could spend a day out on Norma, the resort’s 66-foot yacht for a cool $18,000+! 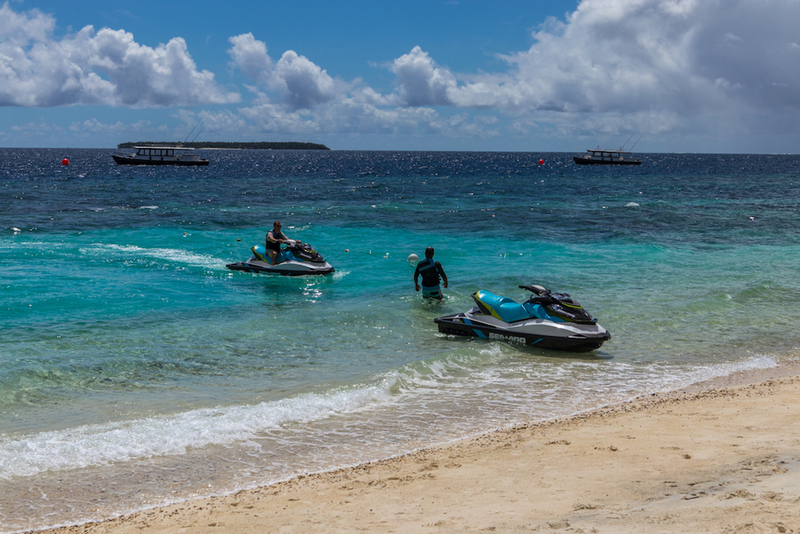 We splurged one day by hiring two jetskis and had such an exhilarating tour out and around the island. 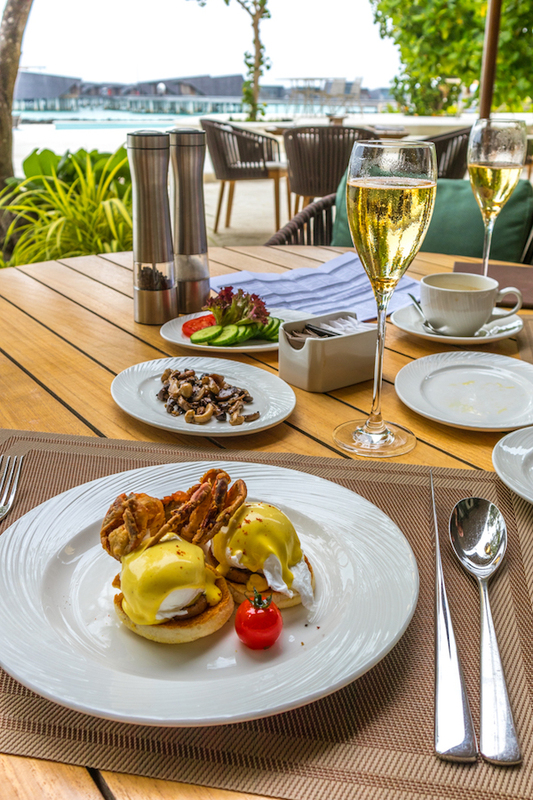 Kayaking and stand-up paddle boarding equipment is available to rent free of charge, and snorkelling equipment is in your villa and free to use for the duration of your stay. 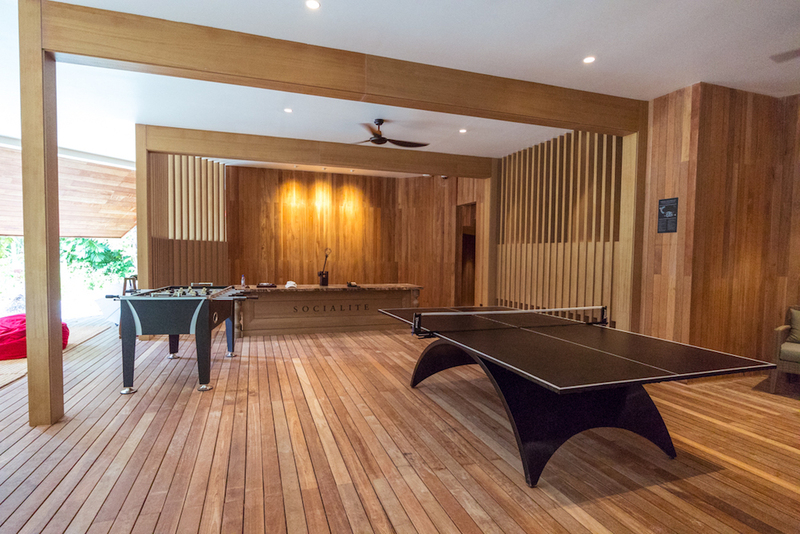 If you want a break from the sun or if the weather isn’t great, there is a double-story ‘Socialite’ activity centre, which has a pool table, ping pong table, PlayStation, Monopoly, chess and other board games with lots of lounges and bean bags to chill out on. The wifi coverage was excellent around the entire island in all buildings and outside, with speeds above 10 Mbps for both upload and download. 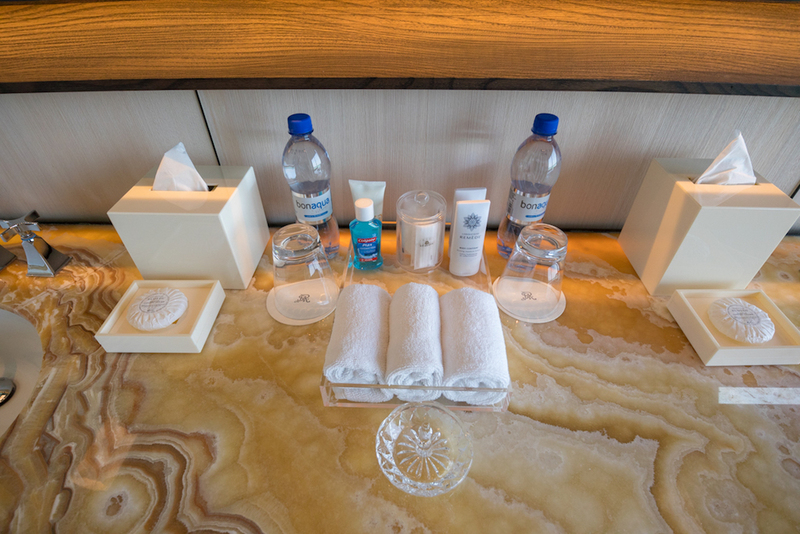 Included in The St. Regis butler service is a packing/unpacking service, garment pressing (two items per guest per day) and arranging all your activities and dining reservations. It seemed every time we left the villa, even for 30 minutes, the staff cleaned it. We would always return to a spotless villa, the towels refreshed and bins emptied. No matter where we went on the island, the staff would know our names even if we hadn’t been introduced. All the staff were very friendly and happy to have a chat with you about life on the island. They revealed that there was a staff to guest ratio of 2:1 and they usually work for two months on the island followed by two weeks of leave off the island with their families. All the staff stay in a large compound in the middle of the island and praised the new Marriott management team. My only issue with the service was the way two room problems were handled. We had a droning noise that went on all night in our villa and the water pressure was so poor I had to use the kettle to fill the bathtub. I complained to our butler on the first morning and he said they would have their engineers look at it that day. After three days, they still couldn’t fix it, so finally moved and upgraded us to an Overwater Sunset Villa. When you’re paying $4,000 or 46,000+ points a night, it really shouldn’t have taken them three nights to fix a problem. The sunset views from the new villa were breathtaking and the pool was also warmer, however, it wasn’t as private as it faced the Whale Bar. 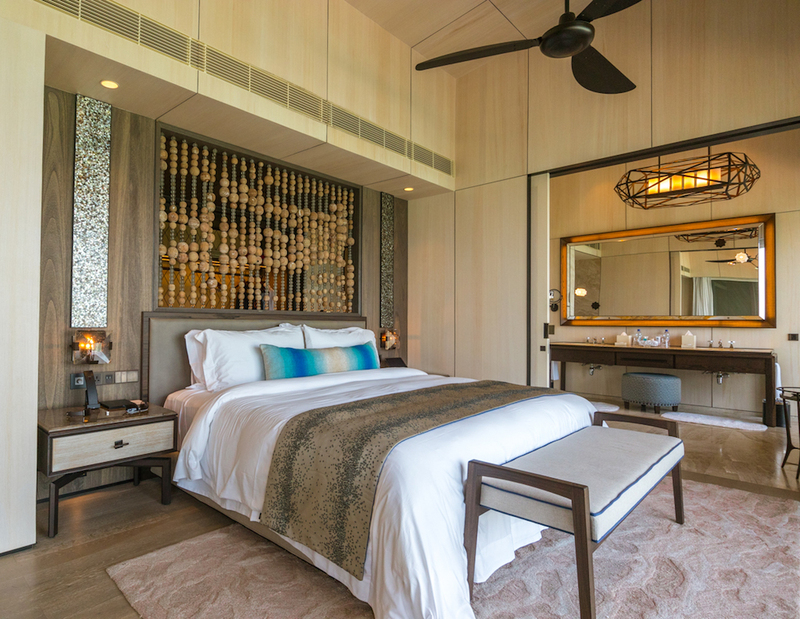 I was sad to leave The St. Regis Maldives, however, five nights was the perfect time to spend here—any less and you wouldn’t get enough value out of the seaplane transfer costs and any more, you would risk getting cabin fever because the island is so small. 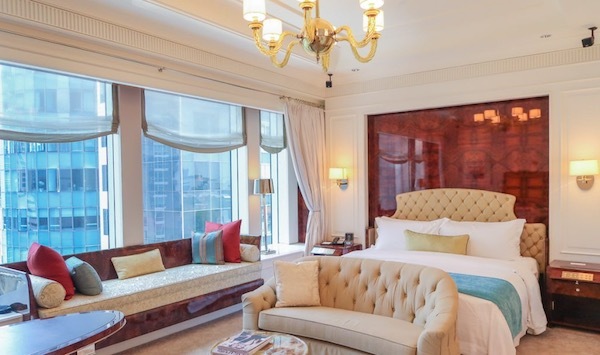 Although there are some free activities and complimentary breakfast for SPG Platinum members, even if you are booking with points, a stay at this property isn’t going to come cheap. 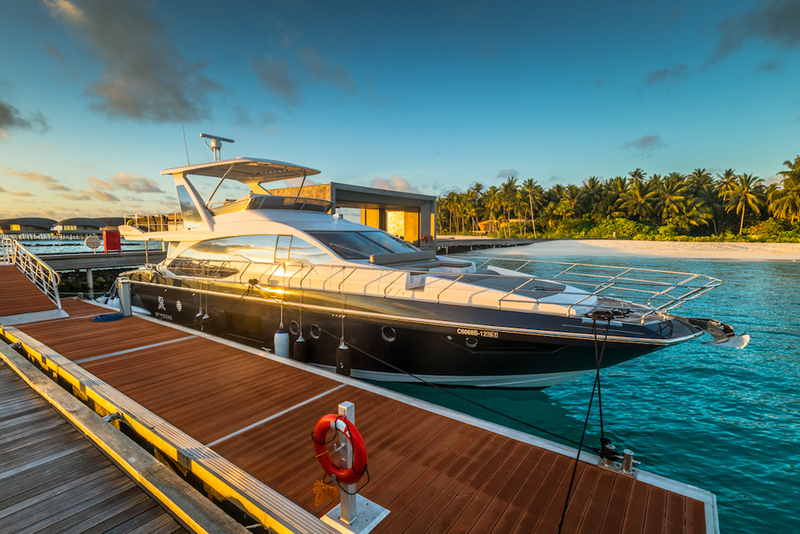 You need to account for the seaplane transfer costs, high taxes on alcohol in The Maldives, high food charges considering everything has to be shipped in from Malé and then all listed prices are subject to a 10% service charge and 12% GST. You can’t survive by only eating the free cookies and fruit in your room but it’s worth every cent. Aside from the two issues with our first villa, our stay was perfect. Every morning we would wake up early to catch the sunrise and every morning I would have to pinch myself to make sure I still wasn’t dreaming—this place really is paradise. 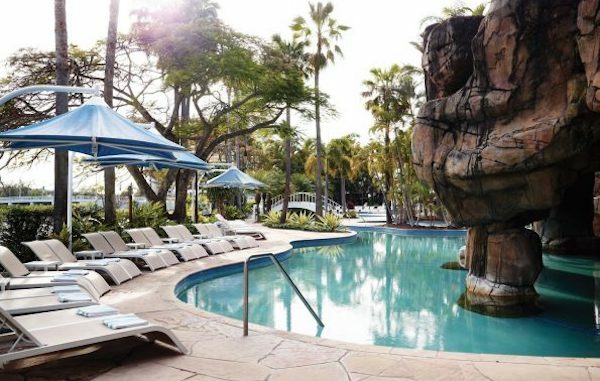 If you’re considering a stay here and can afford it, the answer is yes—do it! 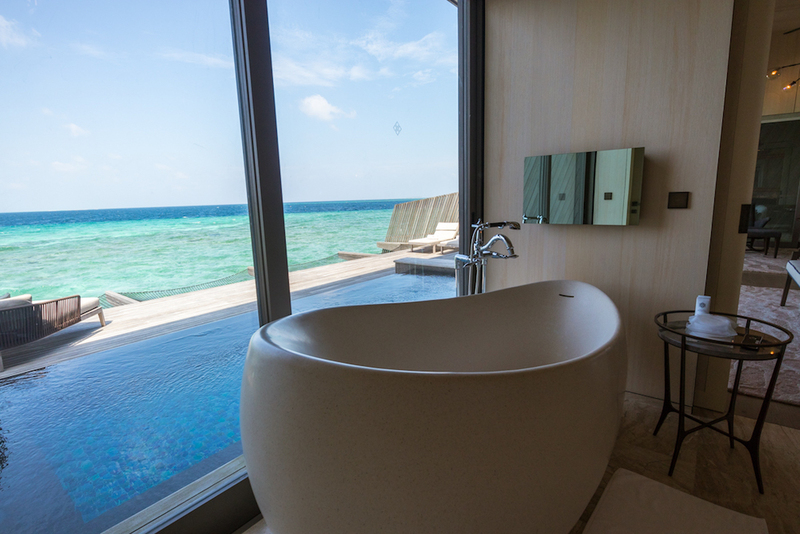 We found that the worst part about leaving the The St. Regis Maldives was wondering how we can possibly top this stay. Wow, thanks for this great review Greg! 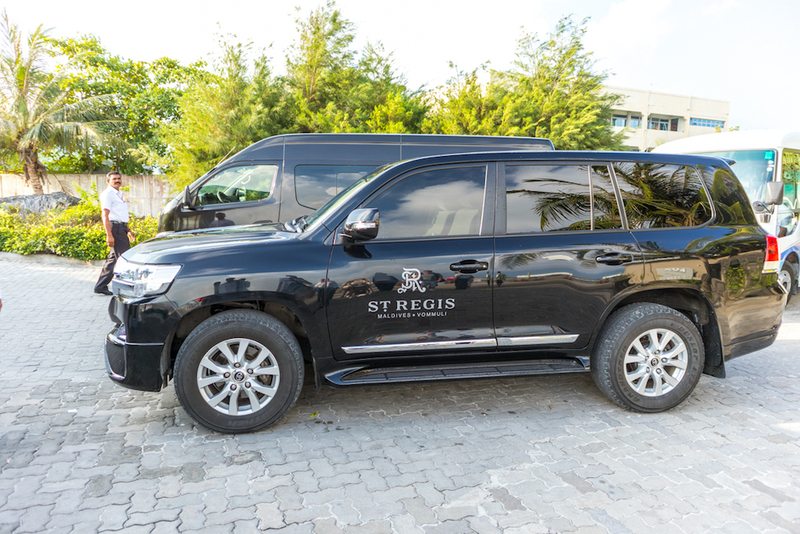 The Maldives is certainly a bucket list destination for many of us and it looks like the St Regis takes it to a whole new level! We were fortunate to spend Christmas and New Year on Vilamendhu (close by) a few years ago when we were living in the Middle East. Despite the price it was worth every cent. Swimming with lemon sharks and beautifully bright fish was incredible. The white sand and colour of the water is to die for. We opted for an all-inclusive package. Despite the images this might conjur up, the food was excellent and made the trip more affordable. Getting to the Maldives is a bit of a trek from AUS, but with direct flights to Colombo with Sri Lankan Airlines (a perfectly good OW carrier) and a short onward flight to Male it isn’t too bad now. Any tips how to acquire that many points through? The average Joe like me struggles to get many. How have you obtained all your points? I have my own business, so the bulk of my points come from the use of an AMEX Platinum Business card plus I have a personal AMEX Platinum. I use them wherever they’re accepted. SPG also run regular Starpoint promotions so I make sure to register for every promotion. This property will be better value than what I paid in points between August and December this year due to the Marriot Rewards/SPG merger.